With over 500,000 users every month (and growing), the Districtsinfo blog is one of the most popular Local information. 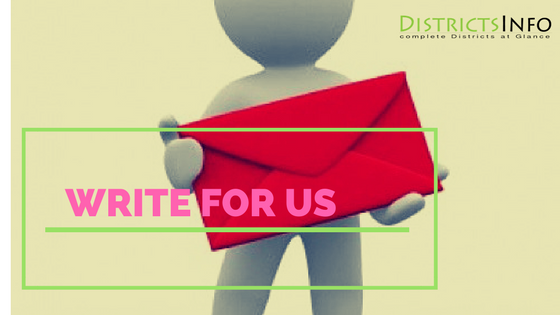 Write for us and reach a more Audience. Therefore, this is a great opportunity for them to learn from you and be very exposed to them! Then everyone wins! Your post must be unique and original. This means that the Post has not been published anywhere else on the Internet. (All posts will be reviewed with Copyscape to make sure the post is unique). We only accept informational articles related on any like local information, Electronic Gadgets,Android News, Online Business, Apps and Software, Mobile Industry. Guest posts should contain high quality information. We expect them to benefit our viewers by providing them with fresh, innovative or good content. Your Posts should be at least 800 words long. Guest contributions should be written in English. Before submitting, make sure that there are no grammatical and spelling mistakes. Please add pictures to your article and write your picture sources well. (Pictures should be in PNG or JPG format.) Please attach the pictures separately. We need at least one image that can be used with each guest post, but more can give a better insight into your contribution and help break up the text to make it easier and more accessible to readers. Only 2 links per post are allowed. No SEO articles , eCommerce, commercial or affiliate links! No links to adult websites, pharmacies or gambling. All links are No Follow. It takes us up to 5 days to publish a post as soon as we receive it. We'll email you when your post is posted and send you the URL to your post. We also notify you if your post does not complete with our quality guidelines.We can not provide feedback on the quality of the content. We may make small changes to your article prior to publication without notice. You should add a short autobiography with two or three lines. Still interested? Use the below contact form to submit your guest post idea or contact us by email districtsinfo.com@gmail.com with your proposal!